Town's best run in The FA Vase came in the 2002-2003 season when we got through to the 4th Round Proper. We welcomed Burgess Hill Town to The Calvert Stadium and our run came to an end when we were beaten 3-0. In more recent seasons our best run since has come in the 2007-08 season when we went through to the 3rd Round Proper, eventually getting beat by Formby 6-0. On Saturday we will welcome Alnwick Town to Northallerton for the 1st Qualifying Round of The FA Vase. Our recent record against Alnwick is very positive our last two games we walked away winners in the League. Firstly last season at home we romped home 11-1 winners and when we visited Northumberland we came away with a 5-2 win. The FA Vase effectively replaced The FA Amateur Cup in 1974. In that year The FA Council had decided to abolish the official distinction between amateur and professional footballers and this meant the end of The Amateur Cup and Amateur Internationals involving England. In its first season 220 clubs entered, but they did not include those that had dominated in The Amateur Cup. Enfield, Hendon, Dagenham, Skelmersdale United and others at their level were immediately allocated to The FA Trophy. For the first time in history, small clubs – even village clubs – had the chance of playing in a national final at Wembley. The first Vase finalists were Hoddesdon Town from the Spartan League and Epsom & Ewell from the Surrey Senior League. The Hertfordshire side edged home 2-1 before a crowd of 9,000. Even a competition as democratic as The Vase had its elite clubs in the early years. 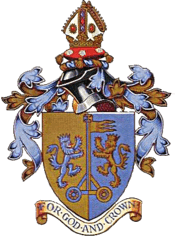 Billericay Town, initially of the Essex Senior League, won it three times in four seasons. Halesowen Town, then in the West Midlands Regional League, appeared in three Finals and were successful in two. They even beat a Southall side that had a young Les Ferdinand leading the attack. Until the new Wembley opened in 2007 the record attendance for a Vase Final was the 26,489 who saw the drawn 1989 Final between Sudbury Town and Tamworth at the old Wembley. Tamworth won the replay 3-0 at Peterborough and Ian Moores, a former Division One player with Tottenham Hotspur, scored one of the goals. The 2013-14 Vase competition was the 40th in history. Wembley had hosted 34 Finals, Villa Park and St Andrews two each, Upton Park and White Hart Lane one each. Thirty-two different clubs have got their hands on The Vase, donated by former FA Councillor Frank Adams. Whitley Bay lead the way with four wins. Aficionados of The Vase competition tend to rate the 1992 Final between Wimborne Town and Guiseley as the best so far. Wessex League Wimborne had a modest record in the competition before then, having never ventured beyond the third round, but they embarked on a spectacular journey that took them all the way from the first round to the Final. A goal down after 14 minutes at Wembley, the Dorset side fought back to win 5-3. When The Vase Final returned to Wembley, a record 36,232 fans saw Truro City beat AFC Totton 3-1. Whitley Bay, the 2002 winners, achieved a sensational hat-trick of Final victories from 2009 to 2011. The Northern League’s dominance continued for two more seasons, with success for Dunston UTS and Spennymoor Town before Sholing, then Wessex League champions, got their name engraved. North Shields then came from behind to win the first Final to go to extra time since 2001-02. In 2015-16 Wembley Stadium staged the first Non-League Finals Day, which saw both the Vase and the Trophy decided back-to-back in front of almost 47,000 fans. Morpeth Town came from behind to stun Hereford 4-1 with 45-year-old Chris Swailes on the scoresheet to win the Vase with a third different club.